Marie Elizabeth Dilley, 69, of Manheim, PA, passed away on Monday, July 22, 2013 at her home. She was born on September 4, 1943 in St. Mary’s, PA to Anthony and Rita Keller. She was a full time minister and loved sharing her love of the bible with others and enjoyed teaching others the wonderful hope the bible holds out. She is survived by 4 children; a son William Dilley, and 3 daughters, Rose Swan, Tracie Matteson, and Lisa Lawrence. Relatives and friends are respectfully invited to attend a memorial service at Kingdom Hall of Jehovah’s Witness, 921 Fruitville Pike, Lititz, PA 17543, on Saturday, July 27, 2013 at 2:00 P.M.
Lisa and Family: Charlotte and I share in your loss. Please remember that life does not end with a period – but a comma as it continues on into the new world. I know she will be missed. Rosey…..Tears of sadness for our loss of Marie, a wonderful lady. Tears of joy to see her again in a world we know she eagerly anticipated. Our love and prayers to the whole family, and many hugs!!! 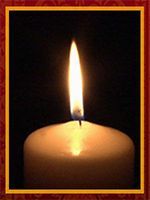 Sister Lawrence & Family: May the hope of seeing your loved one again bring you much comfort. You are in my thoughts & prayers. I am so sorry for the loss of Marie. She was so kind hearted and a loving person and sister. I will miss her greatly. I am sorry I have to work or I would be with you during your time of need. Please call me if you need anything. I hope to see your mother, grandmother in paradise. I love and miss you mommy. I can’t wait until you hear Jesus voice to wake up, but until them I’m trying to patiently wait on Jehovah who gives me comfort! your presence is needed, you brought joy, love & peace to the life of many, cant wait to see your beautiful eyes, that unique smile of yours and to hear your sweet comforting voice.